Theresa May has arrived in Berlin for her first of two stops of the day in a last-ditch attempt to gather support from Angela Merkel and Emmanuel Macron to obtain another short Brexit delay. She is scheduled to meet with Macron in Paris at 18:00 CEST. 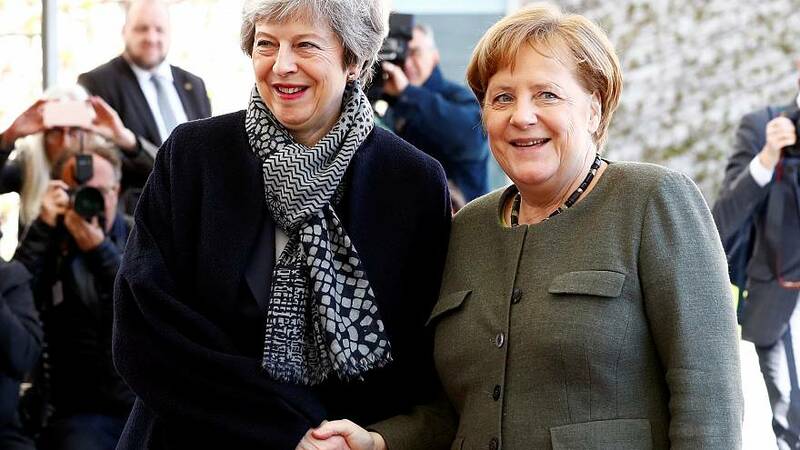 The British prime minister’s visit to the German and French capitals comes three days before the UK is due by law to leave the EU after 46 years of membership. A special European Council summit is scheduled for Wednesday when leaders of the other 27 EU states will decide on an extension. At home, cross-party talks between May’s ruling Conservatives and the Labour opposition are due to continue, to try to break the deadlock over Brexit’s direction. The EU-UK negotiated withdrawal deal has been rejected three times by MPs. Britain's parliament approved legislation on Monday that will give MPs the power to scrutinise and even change May's request that the European Union agree to delay Brexit until June 30. The bill, which also received its final rubber stamp approval from Queen Elizabeth, gives lawmakers the chance to make legally binding changes to May's requested departure date during a debate scheduled to last 90 minutes on Tuesday. Britain's exit from the EU has already been delayed once but May is asking the bloc for yet more time as she courts veteran socialist Jeremy Corbyn, whose Labour Party wants to keep Britain more closely tied to the EU after Brexit. Merkel and Macron are the two key players May need to convince but their stances have differed recently with the German Chancellor showing more willingness than her French counterpart to find a solution that would ensure Britain leaves the bloc with a deal. "Until the very last minute we will do everything to prevent an unregulated withdrawal of the United Kingdom," she said last week after meeting with the Irish Prime Minister Leo Varadkar. Macron, however, has argued the UK should not get another extension unless May can show concrete evidence that she could have the deal approved by lawmakers. As well as her meetings with the German chancellor and the French president on Tuesday, May will be phoning other leaders before setting out the case for another delay at Wednesday's emergency EU summit in Brussels. The final decision on whether to delay Brexit further lies in the hands of the 27 EU government leaders – who need to agree unanimously for the UK's request to be granted.